Creating ornaments from dollar store items is a great way to make one of a kind tree decorations. 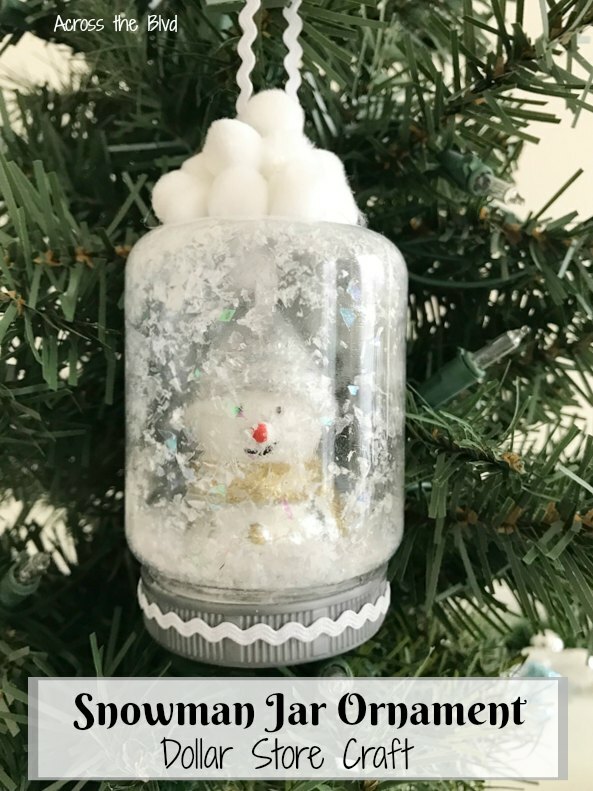 Make a Dollar Store Snowman Jar Ornament for a fun Christmas craft that’s quick and inexpensive to create. This season, we’re sharing lots of ideas for inexpensive, unique dollar store Christmas crafts. This snowman ornament is one that can easily be replicated to fit in with your tree decor. The jar ornament and the metal snowman ornament were items I found at the Dollar Tree. I had both of them in my shopping basket and as I looked at the two of them together, I thought about combining them into a fun diy ornament. 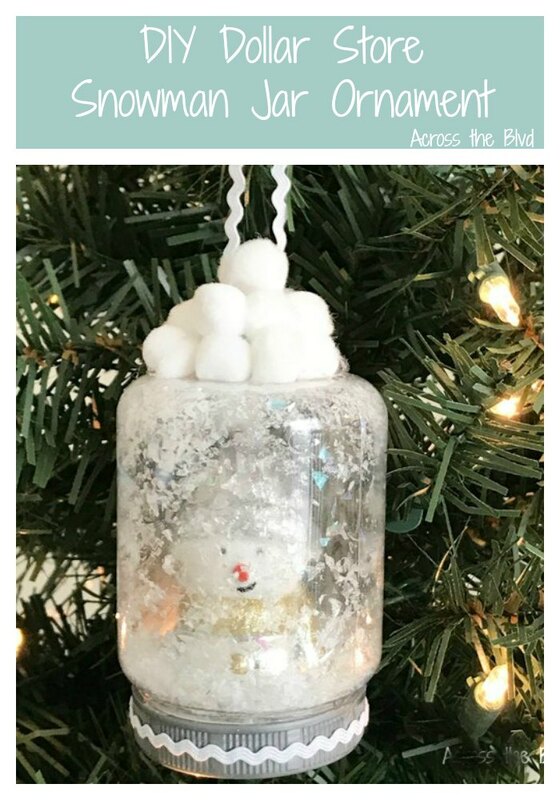 Using a sponge brush, coat the inside of the jar ornament with Mod Podge. Add faux snowflakes to the ornament. 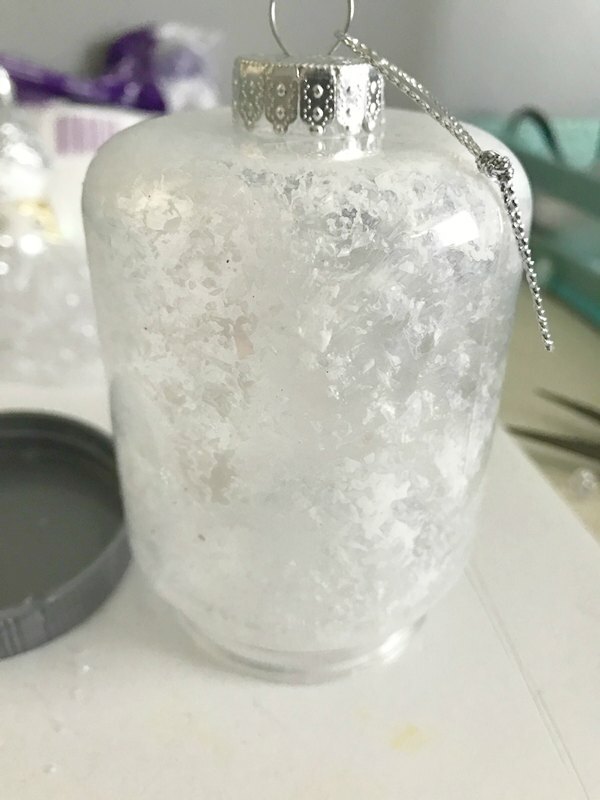 Shake the ornament and let the snowflakes adhere to the sides and top of jar ornament. Do this over a cardboard box to catch the excess. 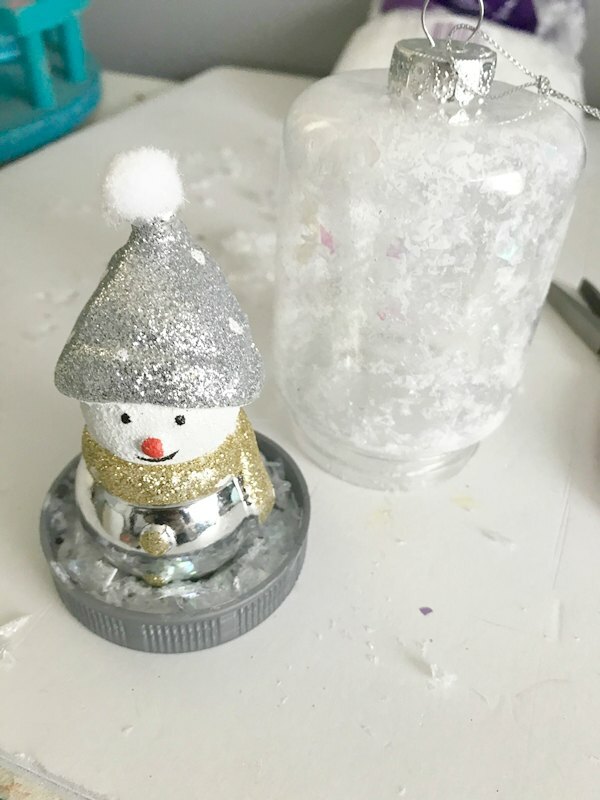 Replace the metal ornament top on the snowman with a small craft cotton ball. 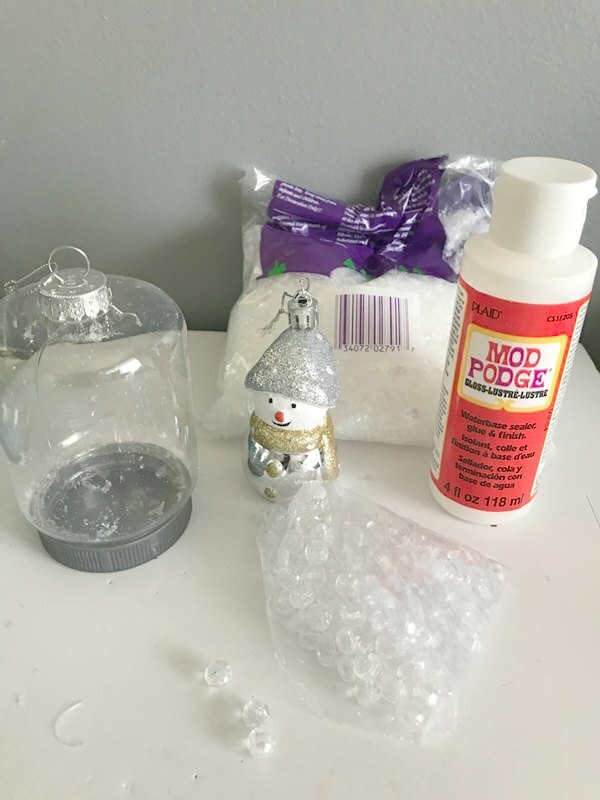 Use hot glue to keep it in place and to glue the snowman to the lid of the jar ornament. Hold the ornament in place for a minute or so until it stands without tipping. 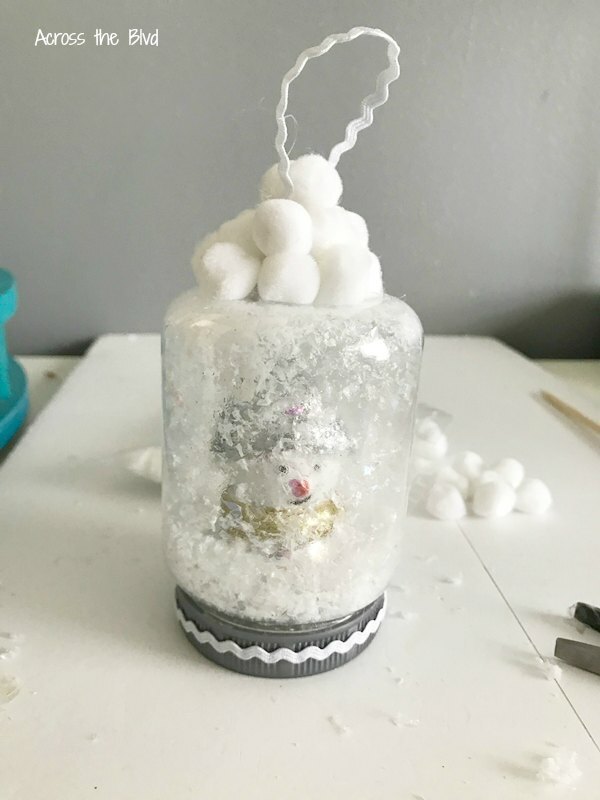 Add some snow to the lid before attaching it to the jar ornament. 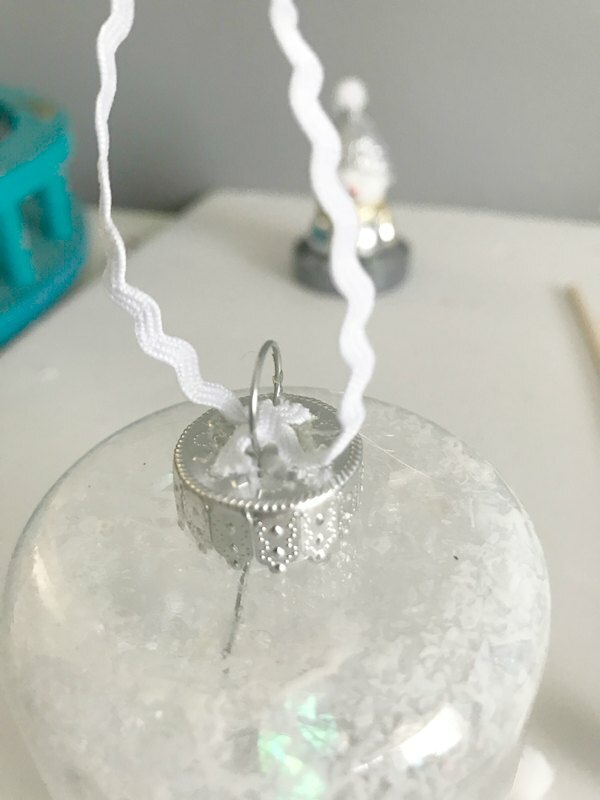 Add a loop of rickrack to the top of the jar ornament with hot glue. 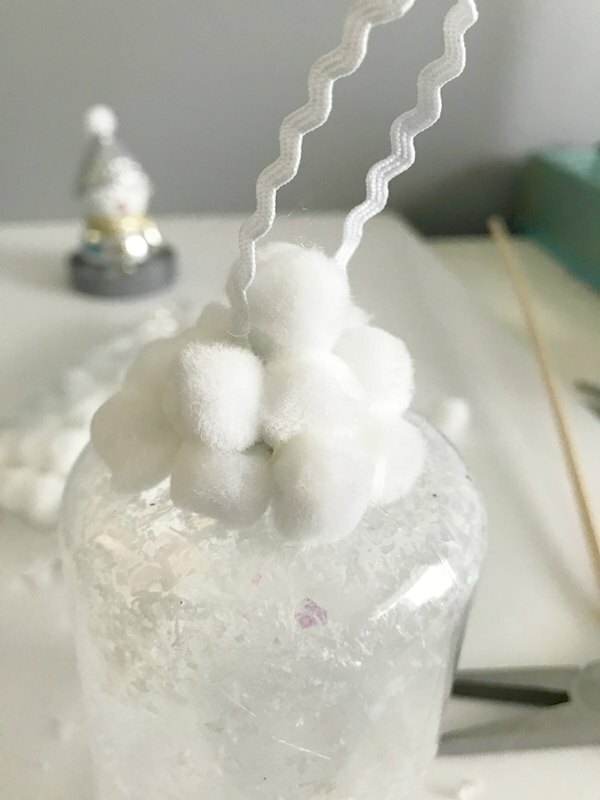 Create a pile of snowballs by placing small craft cotton balls in a stack on the top of the ornament. Glue them in place with tiny drops of hot glue. To finish the ornament, glue a strip of rickrack around the jar lid. 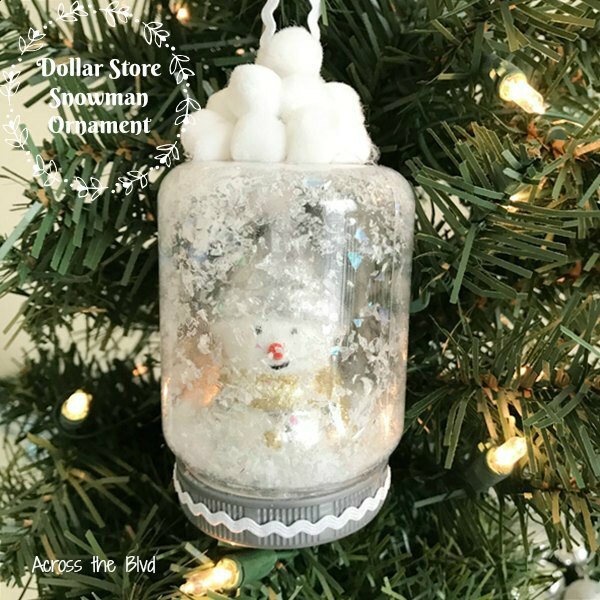 Making a DIY Dollar Store Jar Ornament with a Snowman is a quick and easy craft that I’m sure kids would love to help create. One of our trees is a hodge podge of all sorts of ornaments. Many of them are simple diy crafts like this one. This will fit right in with the rest of the ornaments of that tree. Have you created any fun ornaments from dollar store items this season? Thanks, Christina! Thanks for the party! That is so cute! I just love snowmen. Pinned. I do, too. Even though we don’t have a white Christmas here, I include lots of snowmen in my holiday decor. Thanks for pinning! Thanks so much, Marilyn. I appreciate the feature and the party. Thank you! Happy Holidays to you, too, Bri. That’s adorable. I’m a big snowman fan and make every thing snowman that I possibly can. 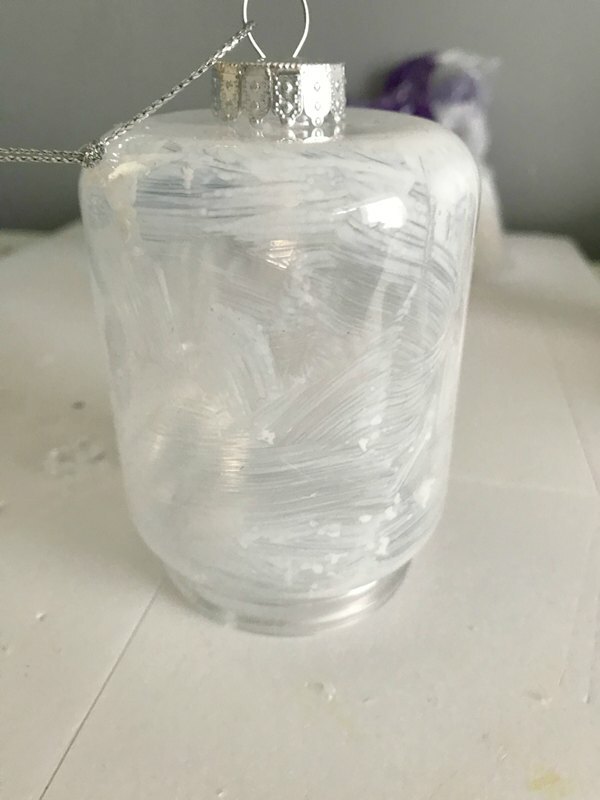 I’ve got the jars already – will try to get the snowmen ornaments before they sell out!!! Thanks for sharing. Such a cute ornament! You always make the cutest things from dollar store items!